The name for the park is given precisely by the recognizable landscapes from its nearby areas. The original name in Latin is "Mont Signus", which its serious textual meaning could be "mountain signal" alluding that it was a reference point to settle in nearby towns. Humans have been present in the park from prehistory to the present, so we can find archeological remains of a large part of the eras and civilizations that have passed through Catalonia. 1. – Prehistory: (3300 b. C.) remains of axes and tools evidencing the presence of humans in this period. 2. - Iberian Period: (450-200 b.C.) people who settled in the mountains of the park. Some of his legacies are the castle on the hill in Montgrós, Brull. 3. - Roman Period: left his stamp in the form of buildings, among which we find the Villa Romana de Can Tarrés. 4. - Middle Age: is the period where the human presence in the park becomes more important. Increased the seize of resources and numerous buildings. The physical geography of the park is differentiated by two parts determined by the type of rock formations and the age of its configuration. - Igneous rocks: they come from the cooling of magma from inside the earth. - Metamorphic: come from different phenomena of erosion of the earth's crust. • Coverage: antique ranging from 300 million years to the present. Consisting mainly of sedimentary rocks. These formations come from the erosion of the mountain itself, where various sediment accumulation results in new formations. 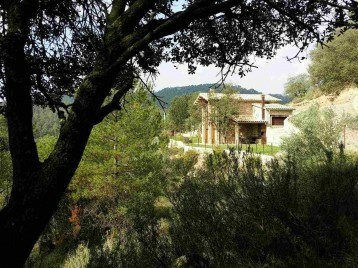 • Mediterranean forests: are green and are in the sunniest areas of the park. Summers in this area are especially hot and dry, while in the winter is moderately cold. The frequent exploitation has been made of trees and subsequent reforestation have made it one of the youngest habitats in the park. • Central Forests: the climate of the area is more hostile in front of the Mediterranean forest with cooler temperatures and abundant rainfall that provide a completely different look. Here you will find forests with tall and robust trees, thus understory is poor due to the low light that let the trees. The number of animal species is also lower due to weather conditions. • Meadows and moors: is this the area of greatest contrasts around the park. High temperatures during the day and very low temperatures overnight. These climatic conditions difficult the existence of trees, so shrubs and herbs predominate. The vegetation of the Montseny Natural Park is influenced by the temperature and humidity of the area, and how these interact. Giving varied vegetation, with unique contrasts that vary depending on the altitude. • Low altitude zones: Mediterranean vegetation shaped by oaks (dominant forest in the park, offers a colorful green landscape), cork (little vegetation of plants and shrubs, by its configuration) and pine (located in the sunniest areas). • Average altitude zones: Here we find vegetation in rainy climates such as oaks (one of the most abundant forests of the park in the past, but the exploitation of its timber has been decreasing its size, and is currently unevenly distributed ) and oaks (impart a greenish hue to this layer altitude). • High Altitude Area: from 1,000 meters we find the vegetation in colder environments. The abundance of trees gives way to the bushes and thickets, altitude does not exceed one meter high, containing a variety of herbaceous species. Montseny Natural Park, is especially rich in species diversity, determined by the character of the park, which serves the perfect environment for the growth of all species. We find them grouped into two types of target species. • Central European Species: located in the higher elevations of the park. Configured primarily by the red frog, green lizard, hare and the dormouse. • Mediterranean species: in the lower areas of the park and therefore more wooded areas. We can find the wild boar, fox, along with a wide variety of amphibians. You can find a complete listing of the species on the link. 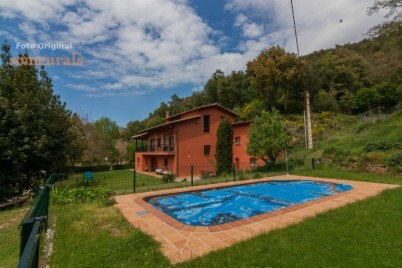 The office of Montseny Natural Park is located in a farmhouse of the early twentieth century, which is called Mariona farmhouse. It has two floors where is located the administrative headquarters of the park. Downstairs also can enjoy a museum exhibition called "Univers Patxot", which collects themes from hiking to meteorology of the study of Catalan farmhouse. 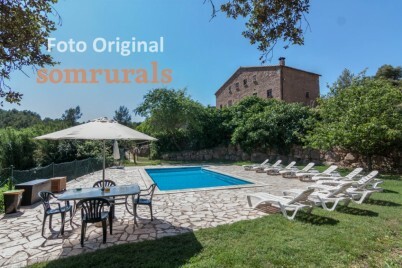 For rural tourism in Montseny Natural Park and visit with tranquility and time, we suggest you visit our list of accommodation in the province of Catalonia where the park, check out our cottages in Barcelona and our houses in Girona. You can also find the houses related to proximity to the park. Photos, latest news and in rural Catalonia Facebook | Twitter.